The Club Scrub Endless Summer River Paddle & Rocking Sandbar Party with a Live Band. Jonathan Dickinson State Park to the Rocking Jupiter Sandbar Party on October 14, 2017! A Guided Paddle from Jonathan Dickinson State Park down the NW Fork of the Loxahatchee River to our Jupiter Sandbar Party (approx. 5-miles). We paddle both ways with current. Launch at JD Park’s River Area Swim Beach. Paddle down the Loxahatchee River to our Floating Refreshment Stops, relax then paddle the rest of the way to the Rocking Jupiter Sandbar Party! After a few hours of great food, drinks, live music and fun, then paddle back to JD with current. 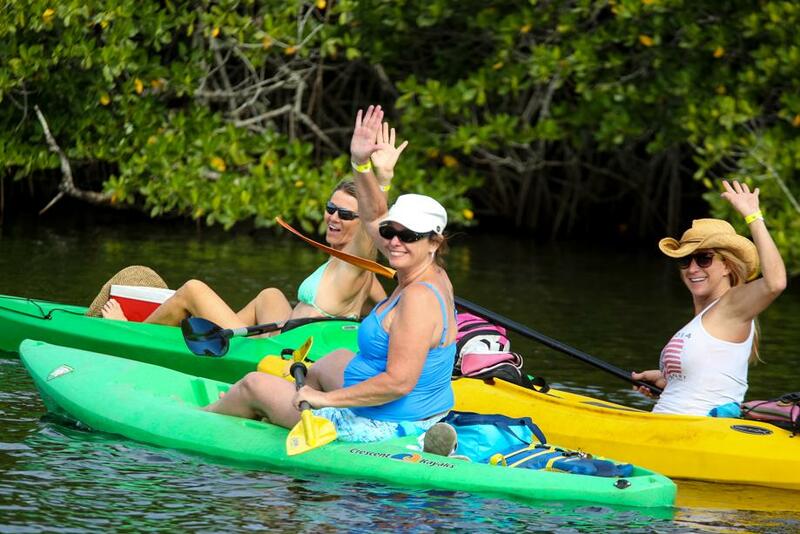 See manatees, fish, birds, turtles and other wildlife as we paddle by mangrove islands and estuaries. Grab your Kayaks, Paddleboards & Canoes!! If you don’t have your own equipment, we have several outfitters who will deliver and pick up for the event. You will need make advanced reservations. Go to clubscrub.org for a list of outfitters. Includes your park entry, a “Rocking Sandbar Party” with Lunch at the Jupiter sandbar, along with floating refreshment stops, and paddle support (boats and guides). REGISTER NOW! ClubScrub.org Use PROMO CODE – IRMA to save $ 5 on your fees.